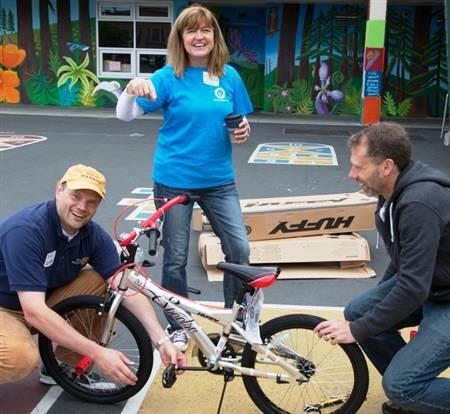 The San Francisco Rotary Foundation provides funding through grants to a variety of Local Community Service and International Service projects of the Rotary Club of San Francisco. Additionally, the foundation may select other worthy projects which come to its attention, within the framework of the yearly budget and grant guidelines. The Foundation currently allocates not more than 4% of the previous December 31 value of the endowment (most recently $3,329,866.04) to projects proposed by The Rotary Club of San Francisco and Rotary Service. 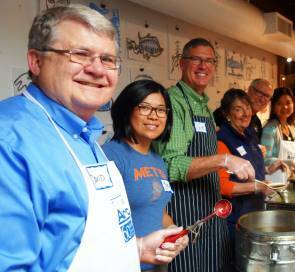 Club members are encouraged to include the San Francisco Rotary Foundation in their estate planning so the Foundation can maintain this level of support for charitable activities. The Foundation also serves as trustee for approximately $330,000 distributed to the University of San Francisco pursuant to a trust established by the late Club member, Scharleen Colant. The San Francisco Rotary Foundation was formed in 1959 to receive, administer and expend funds for charitable, educational and scientific purposes embraced by the Rotary Club of San Francisco and of Rotary Service, Inc. The Foundation is recognized as a 501(c)(3) organization by IRS, making it exempt from income tax, and qualifies to receive tax deductible contributions under federal and state law (Federal Tax ID 94-6064219). The Foundation can accept charitable remainder trust gifts and set up endowments for specific purposes.